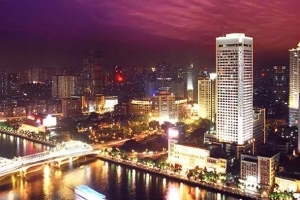 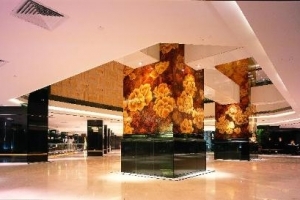 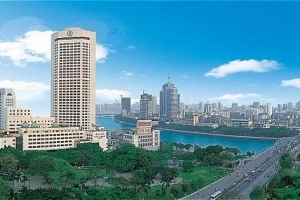 Hotel Landmark Canton is a four-star hotel, situated in Haizhu Square, on the banks of the Pearl River, just a two-minute walk from Metro Line 2, 15 minutes by car from Guangzhou Railway Station and 40 minutes from Baiyun International Airport. 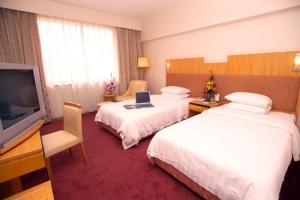 The hotel's guestrooms and offices are all equipped with in-house movies, satellite TV and free broadband internet connections. 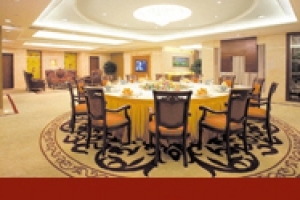 The Landmark Club features a special lounge, meeting hall and reception areas in addition to a gymnasium and high-tech audio-visual room. 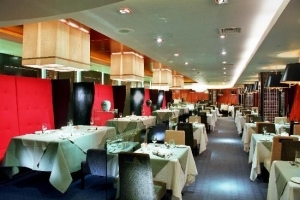 Food and beverage outlets include Western and Chinese restaurants and a bar/lounge. 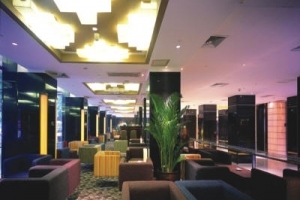 Other entertainment and recreational facilities include tennis courts, billiards, table tennis, a gymnasium, an indoor swimming pool, massage and sauna, a business center, beauty salon, clinic and post office.